Windows Genuine Advantage (WGA) is an anti-piracy system created by Microsoft that enforces online validation of the licensing of several recent Microsoft Windows operating systems when accessing several services, such as Windows Update, and downloading Windows components from the Microsoft Download Center. In Windows 7, WGA is renamed Windows Activation Technology. Start Windows in safe mode i.e. Start your PC and press F8 before loading of windows and select safe mode from the list. Open Task Manager(Ctrl+Shift+Esc) or Right click on taskbar then select Task Manager. Now Click on the processes Tab. Now Find the processes that is name with wgatray.exe, Right Click on it and select End process Tree. Click Yes. Select “Show Hidden Files and Folders” and uncheck “Hide protected operating system files option”. Now Delete “WgaTray.exe” from “c:\Windows\System32” and “c:\Windows\System32\dllcache” i.e. from both of the locations. Now open RUN dialog box and type regedit.(i.e. Start>Run) and click ok.(It will run Registry Editor). 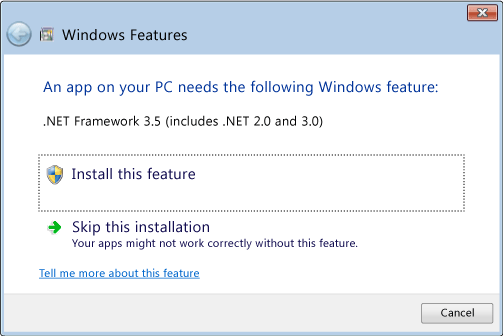 Their is a very simple process for Windows 7 . Just download the tool from here and extract it using Winrar or 7zip. Now Right Click on the file and then select Run as administrator. After that click on RemoveWAT. Download WGA remover from here. Got a new Laptop or net-book that came with pre-installed drivers, but you are going to upgrade or re-install the O.S. but don’t have a driver CD or your driver CD is missing? Then here is a easy way of backing up all of your original installed drivers (OEM drivers) and restoring with a few clicks! Means you don’t have go to your manufactures websites for downloading all the drivers each time your’e re-installing. So, here is a tool that can backup all your drivers and restore when needed.It works on your most favorite version of Windows i.e. XP/Vista/7. Just download Double_Driver and extract it to your desired location and run it(by double clicking on dd), and just follow the step by step process. Firstly Go to Backup by clicking on it. Now click on Scan Current System, it will automatically select all the drivers installed, except Microsoft(i.e. bundled with the OS). Now it will ask for where to save the backup file and the output type, Select your desired location by clicking on browse and then select Compressed zip (because it is more secure from viruses and will take less space). Now Click on Restore and then Click on Locate Backup as displayed above. All Done, Reboot your PC and enjoy start using your PC as it was in factory condition. *Note: you will need a utility to extract the file like Winrar,7zip.